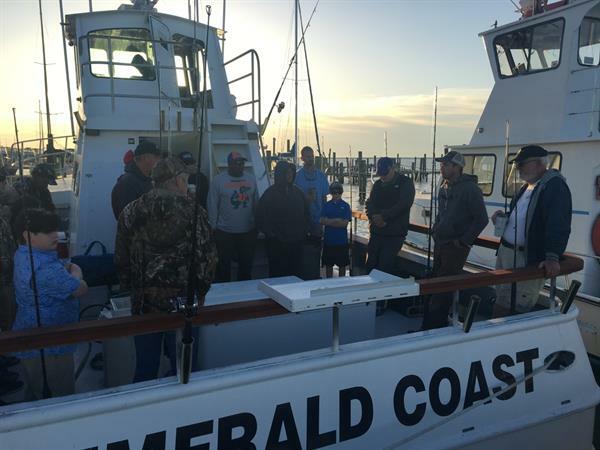 The ''Air Conditioned'' EMERALD COAST is U.S. Coast Guard approved for 22 passengers. 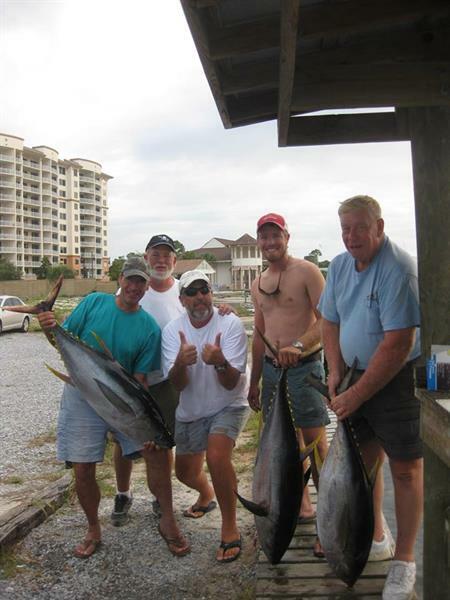 We fish up to a maximum of 19 passengers on our 8 or 6 hour ''Walk-on'' or ''Private'' fishing trips. 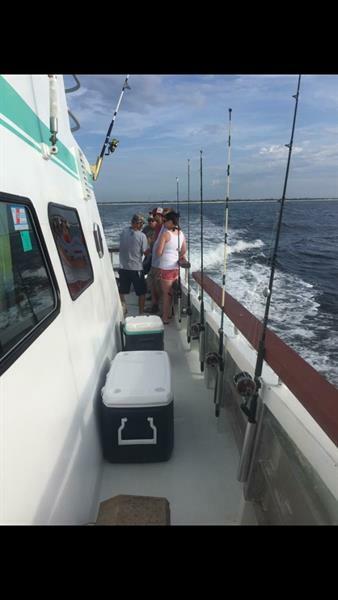 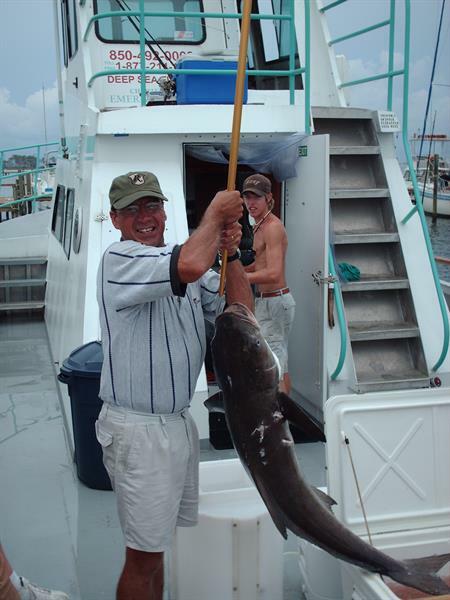 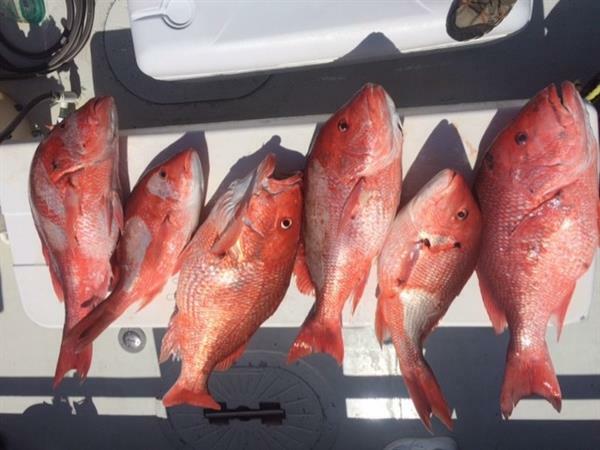 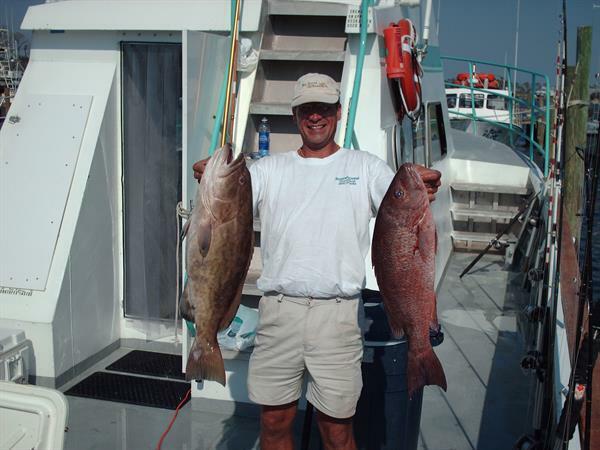 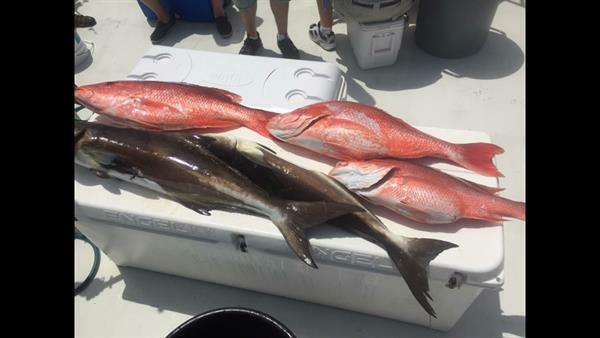 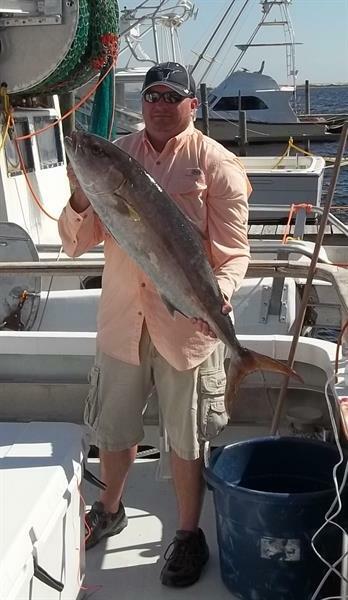 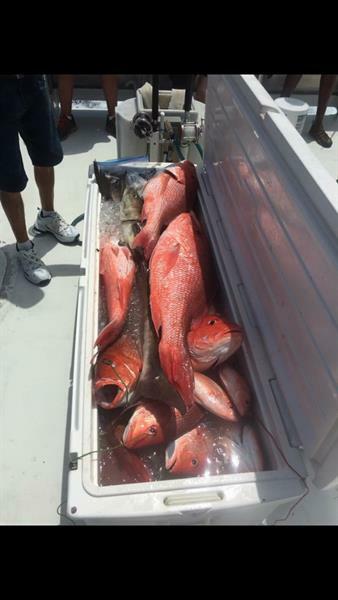 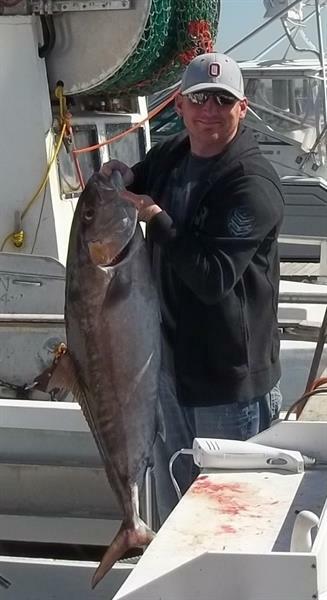 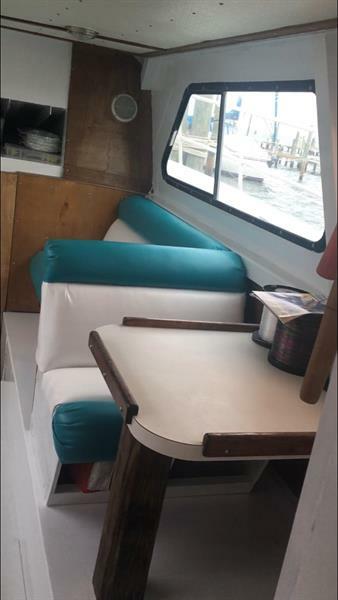 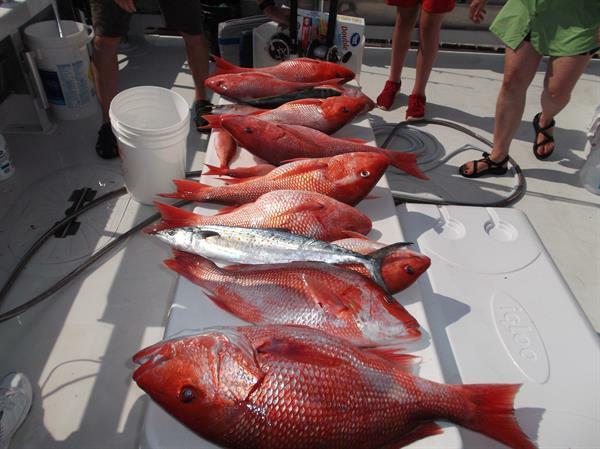 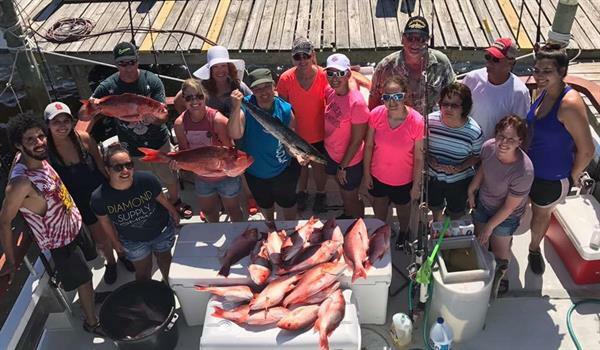 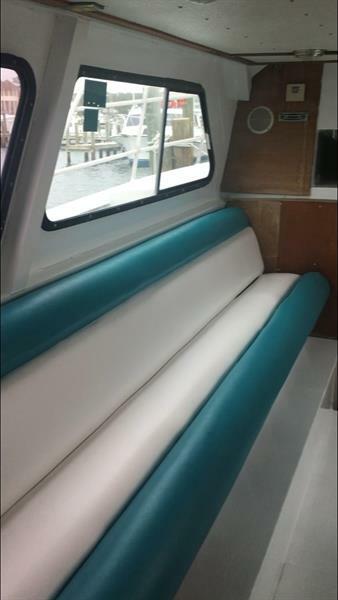 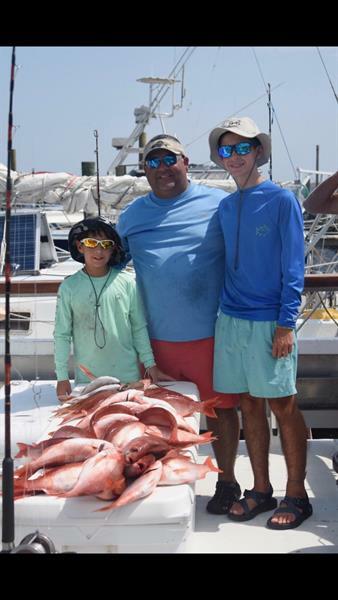 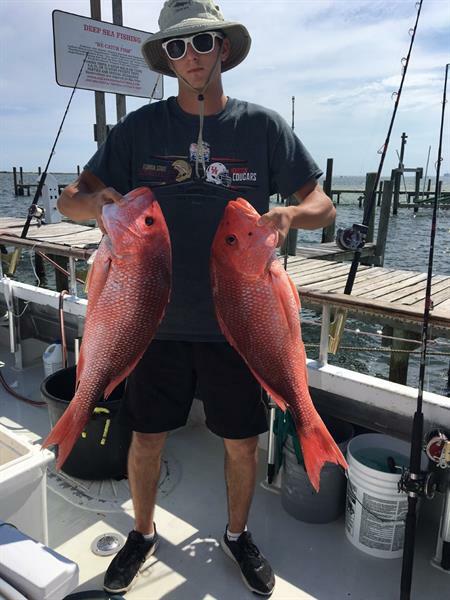 -Private and ''walk-on'' deep sea fishing charters go 15 to 20 miles out in the Gulf of Mexico. 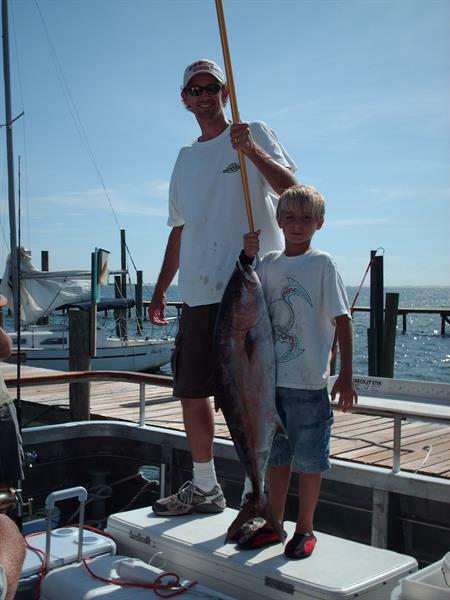 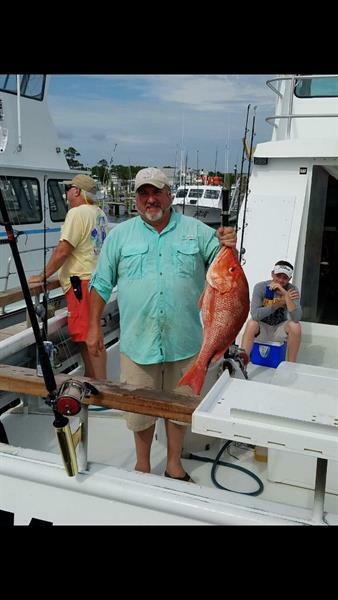 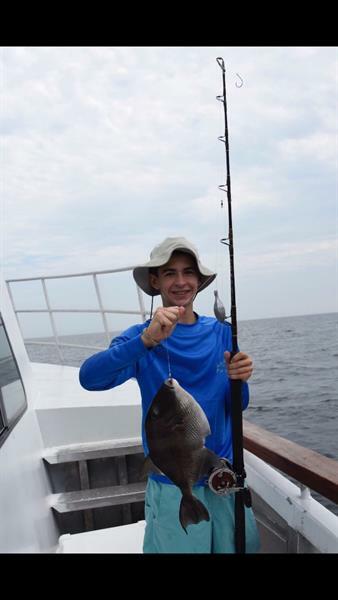 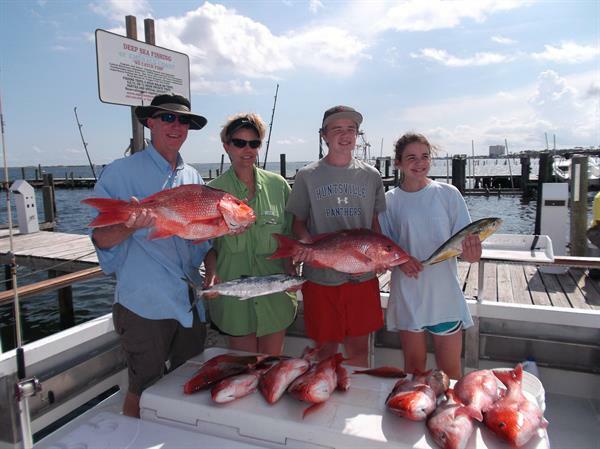 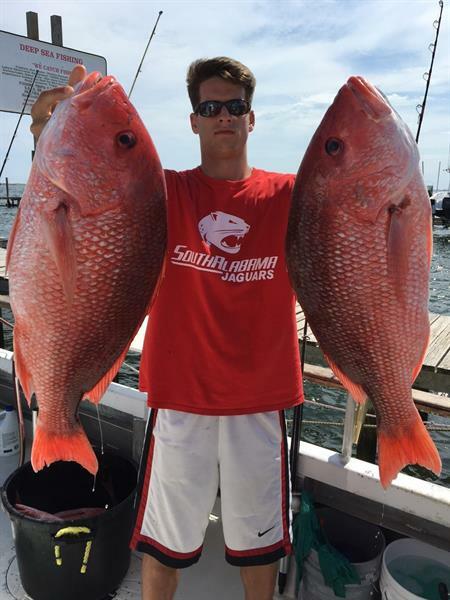 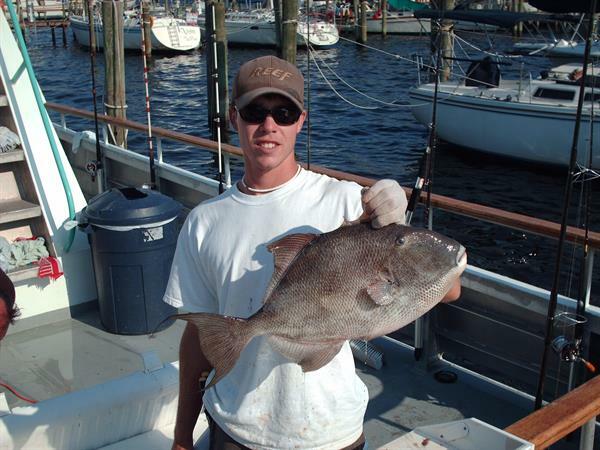 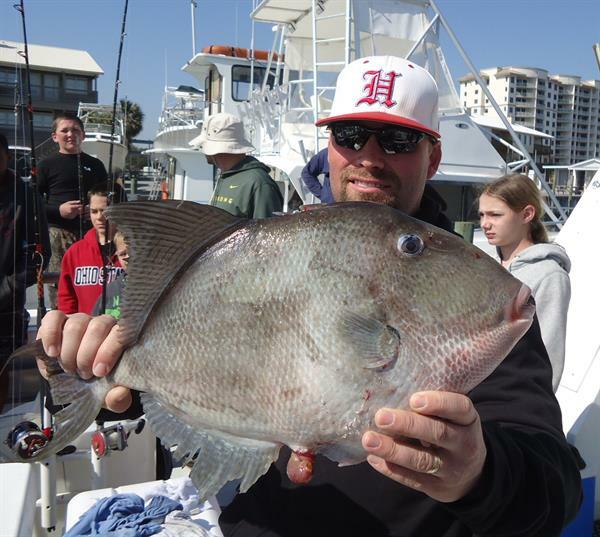 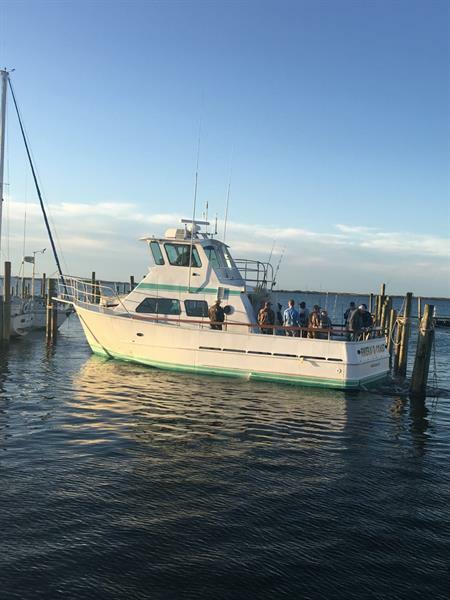 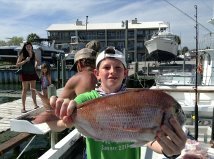 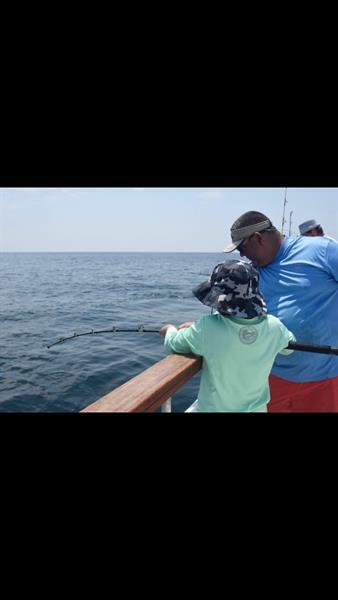 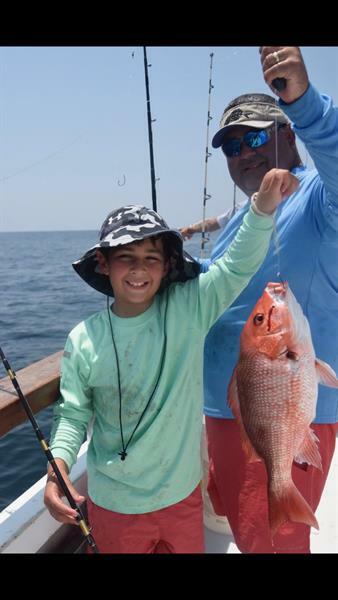 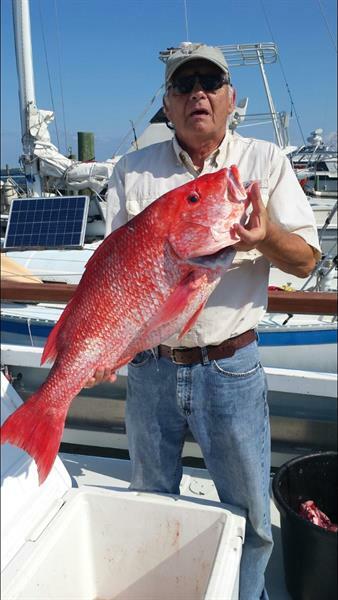 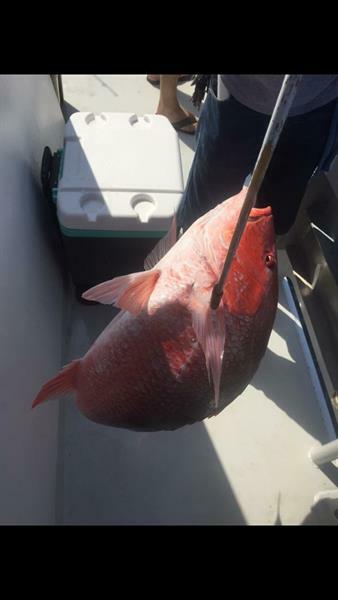 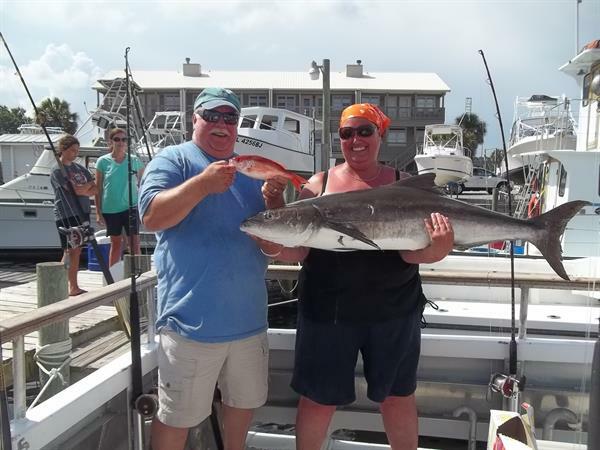 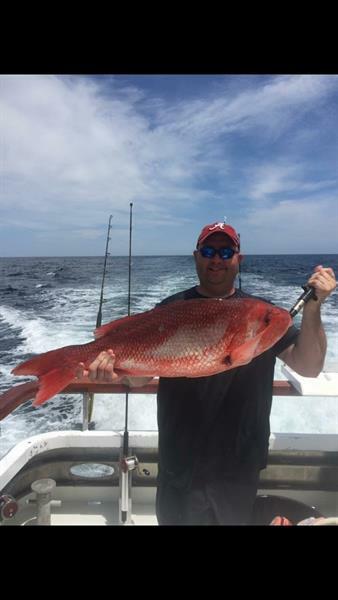 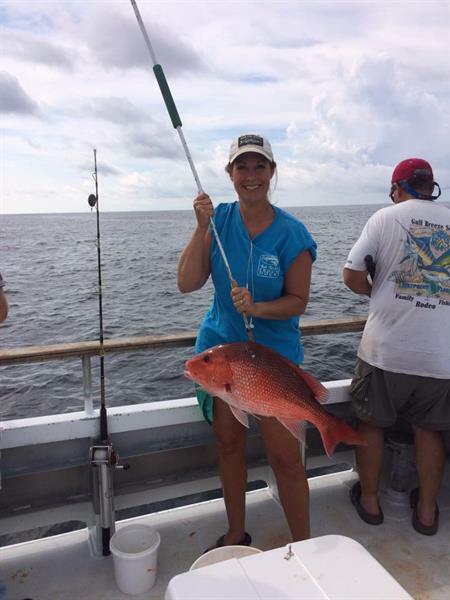 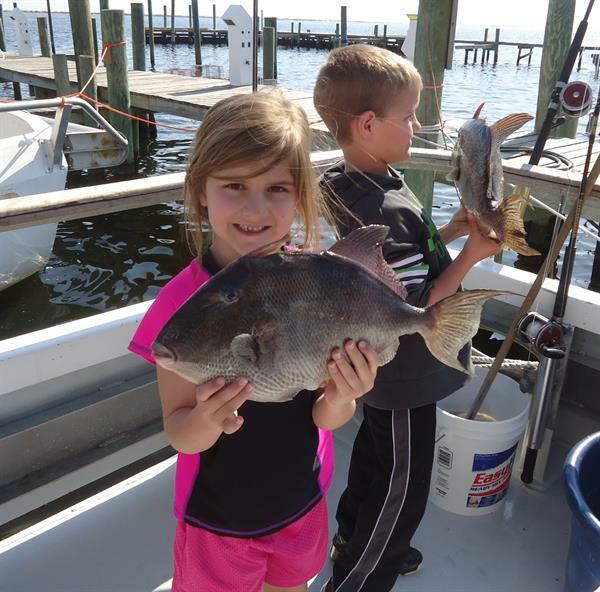 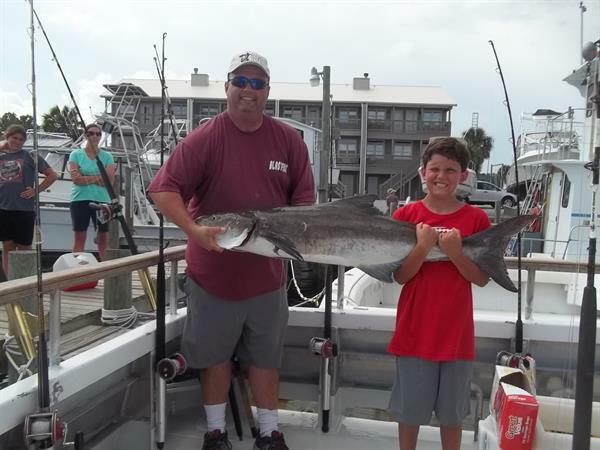 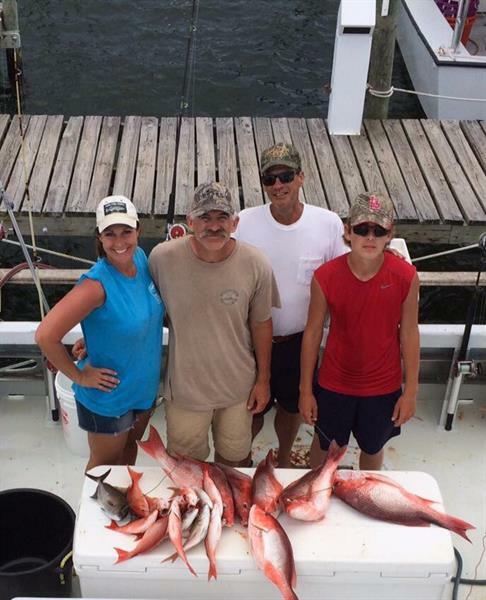 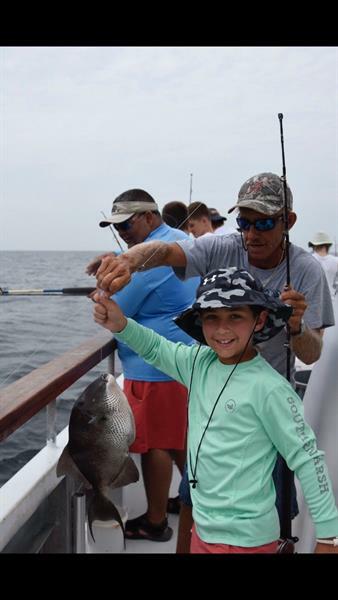 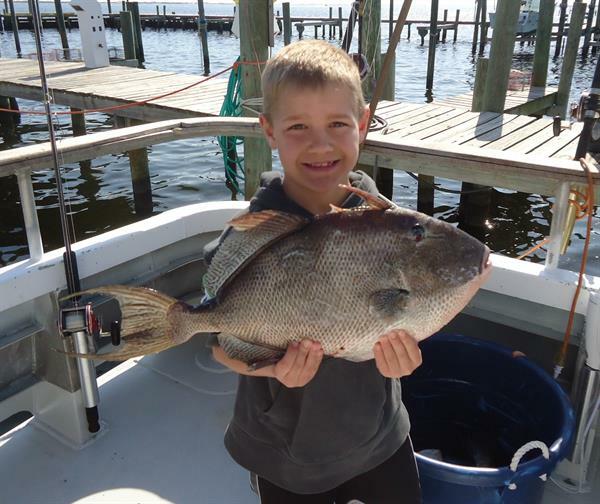 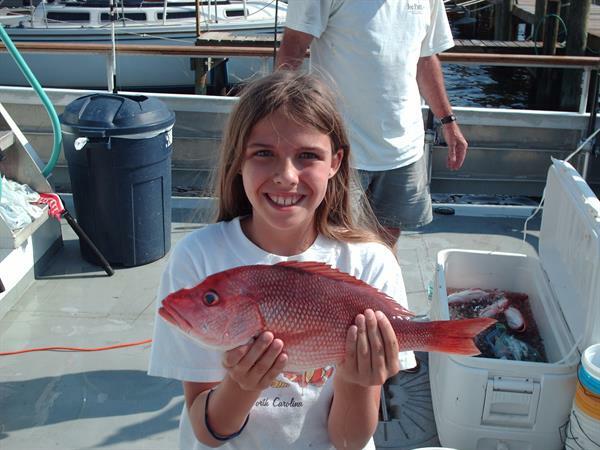 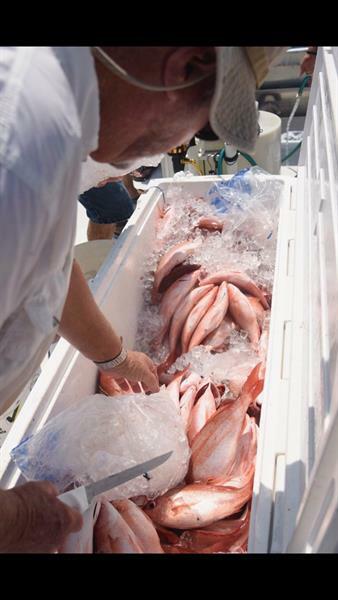 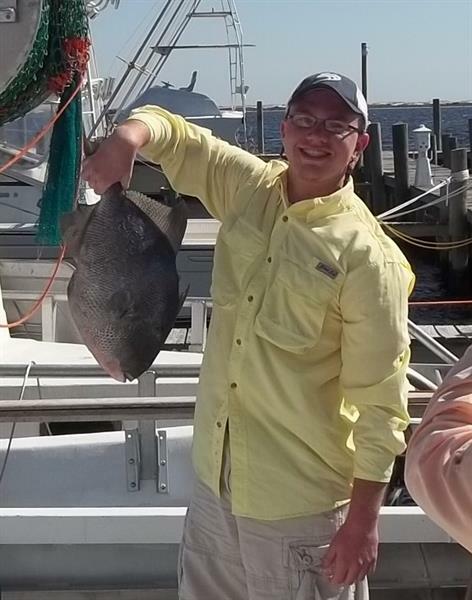 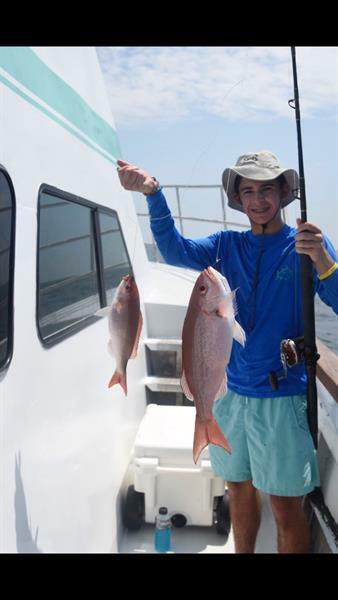 We catch all varieties of Snapper, Trigger fish, Grouper, Amber jack and host of other fish. 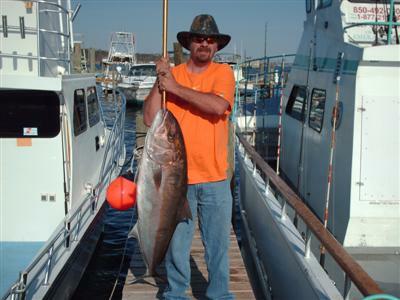 We have the latest Electronic Equipment so the Captain can put you on the fish. 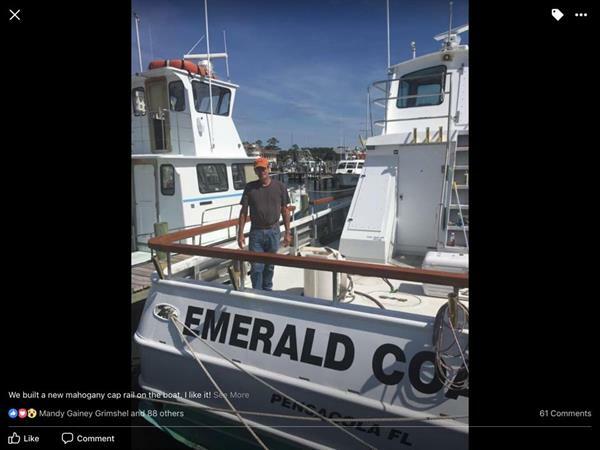 Friendly and Helpful Deck hand to make your day enjoyable. 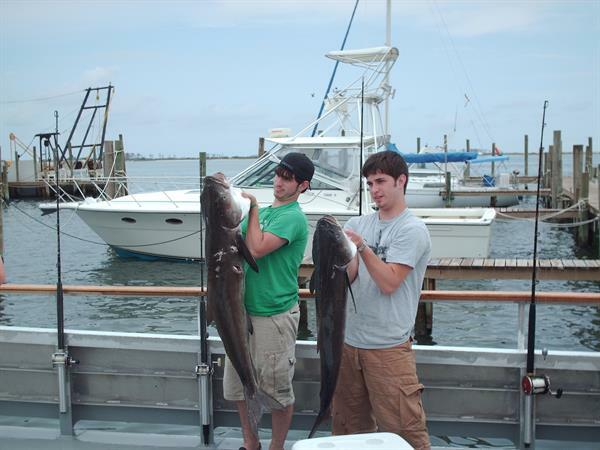 We provide: bait, tackle, ice chest for fish & fishing licenses. 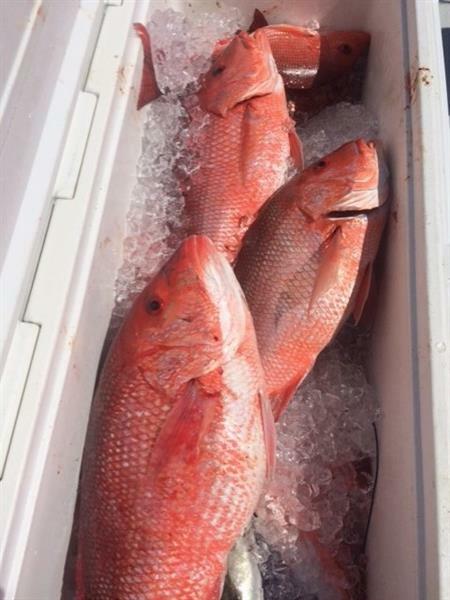 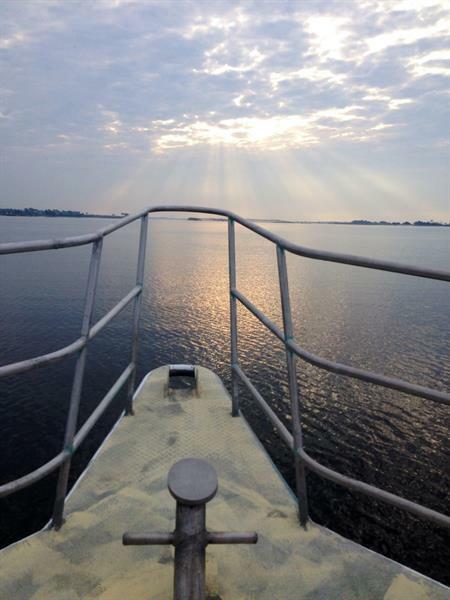 All you need is your ice chest with food & drink and be ready to have a GREAT DAY ON THE WATER. 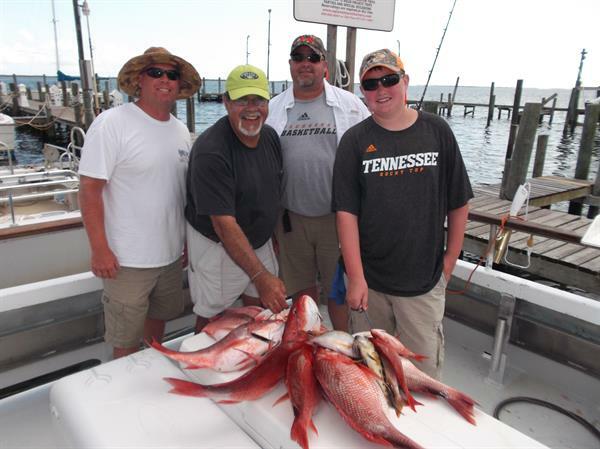 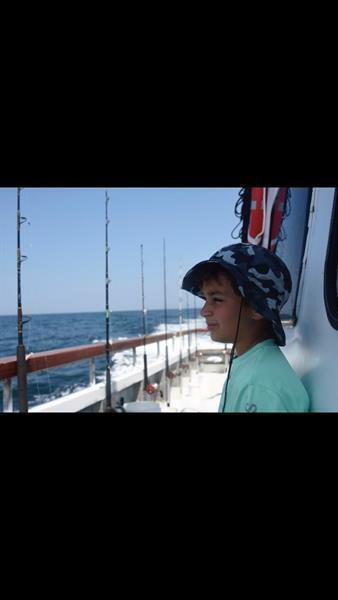 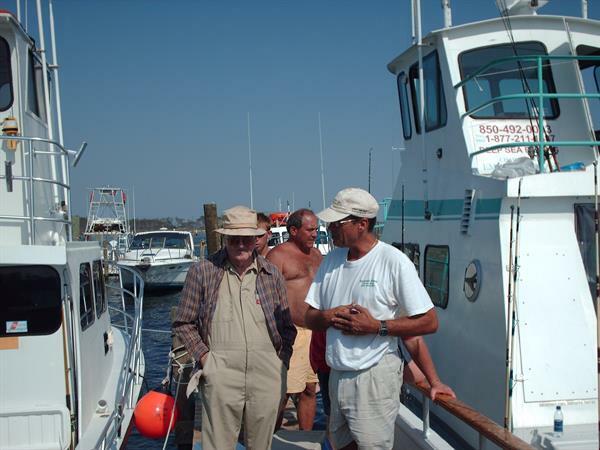 We Catch Fish and Memories of a Life Time with Friends and Family. 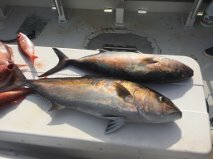 Just over the Theo Bars Bridge in Pensacola, Fl. 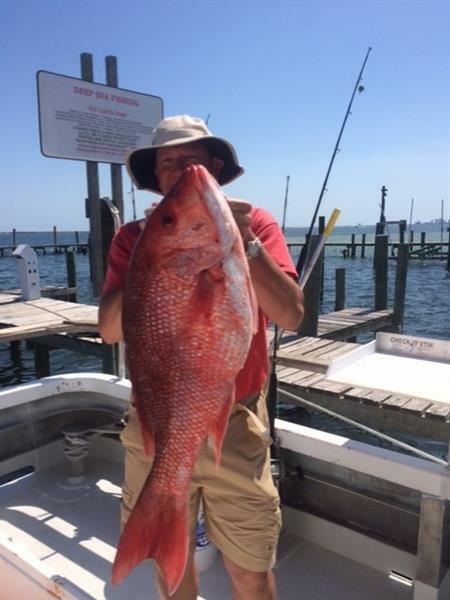 4 miles East of Perdido Key and 1 Mile West of Pensacola NAS. 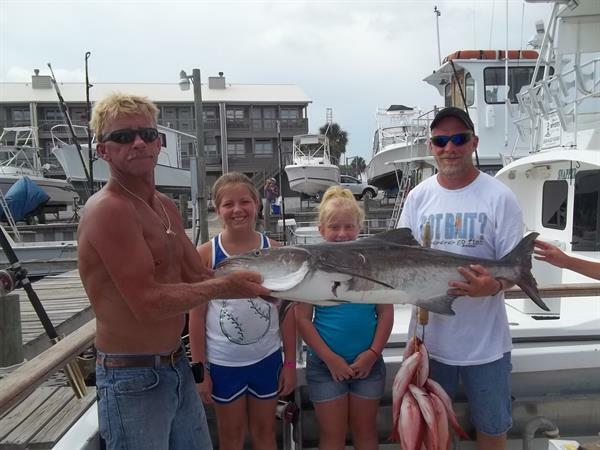 11 Miles East of Orange Beach and just a 35 min. 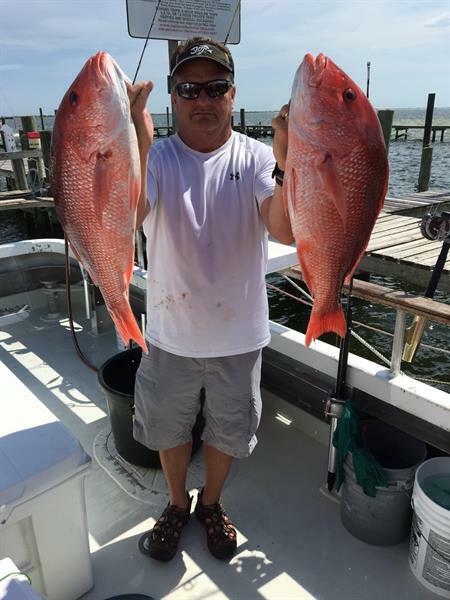 drive from Gulf Shores, Al.